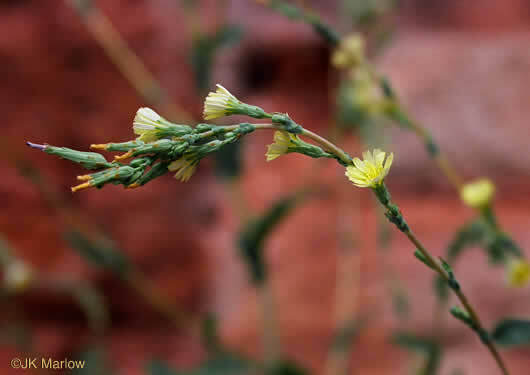 Your search found 3 image(s) of involucral bracts of Wild Lettuce. Involucres 10-15mm long, 3-5mm broad. Bracts imbricate, per Vascular Flora of the Carolinas. 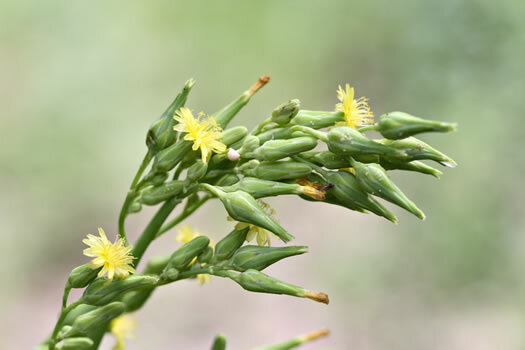 Orange-yellow flowers extend slightly from urn-shaped involucral cylinders, per Forest Plants of the Southeast and Their Wildlife Uses. Heads cylindric or tapering inward toward apex. 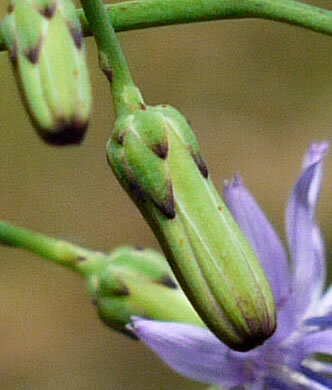 Bracts imbricate, per Vascular Flora of the Carolinas.